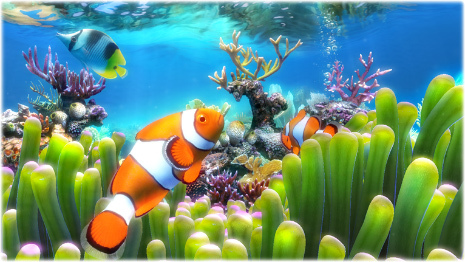 Sim Aquarium Free 3.8.63 : Sim Aquarium 3 brings the most realistic coral reef aquarium to your computer screen. Its stunning, photo-realistic graphics recreate the beauty of 3D fish swimming freely in a 3D environment, including reef, with live clams and swaying sea life. Sim Aquarium 3 brings you as close to a living, growing reef as you can get on your computer.